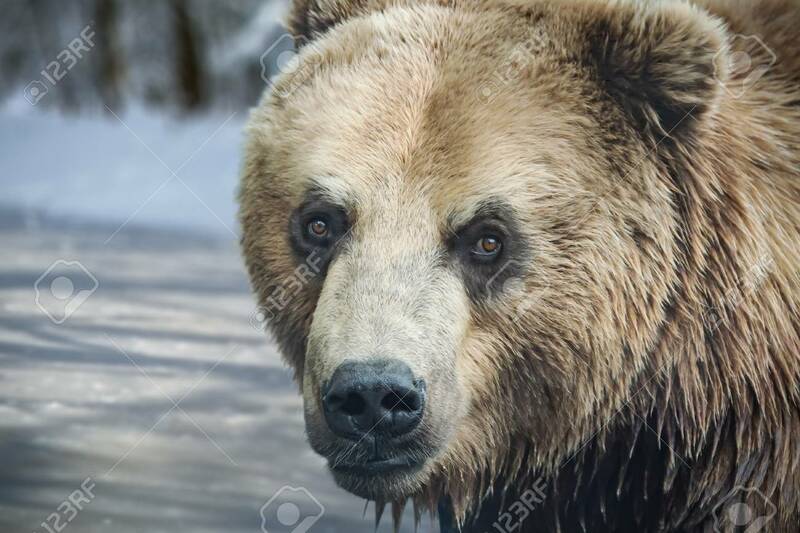 Immagini Stock - The Big Head Of A Brown Bear In Front Of A Frozen Pond. The Bear Keeps Eye Contact With The Camera. His Coat Is Wet. Image 115566797. Archivio Fotografico - The big head of a brown bear in front of a frozen pond. The bear keeps eye contact with the camera. His coat is wet. The big head of a brown bear in front of a frozen pond. The bear keeps eye contact with the camera. His coat is wet.